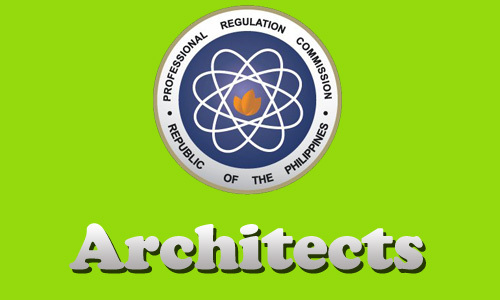 View here the freshly released exam results of January 2014 Architect Licensure Examination (ALE) given by the Board of Architecture held in Manila this January 17 & 19, 2014. PRC said, "The results were released in five (5) working days after the last day of examination." They released the 793 passers out of 1,442 examinees of the Architect Licensure Examination (ALE) January 2014. Board of Architecture Chairman, Arch. Rolando L. Cordero with two other members, Arch. Yolanda D. Reyes and Arch. Fidel Jose R. Siapno. Comments or suggestions about "Results of January 2014 Architect ALE Board Exam Released" is important to us, you may share it by using the comment box below.